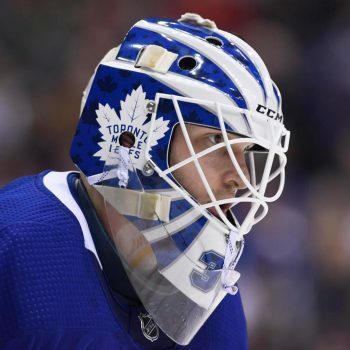 Hockey is a rough game and it’s even rougher on your gloves! 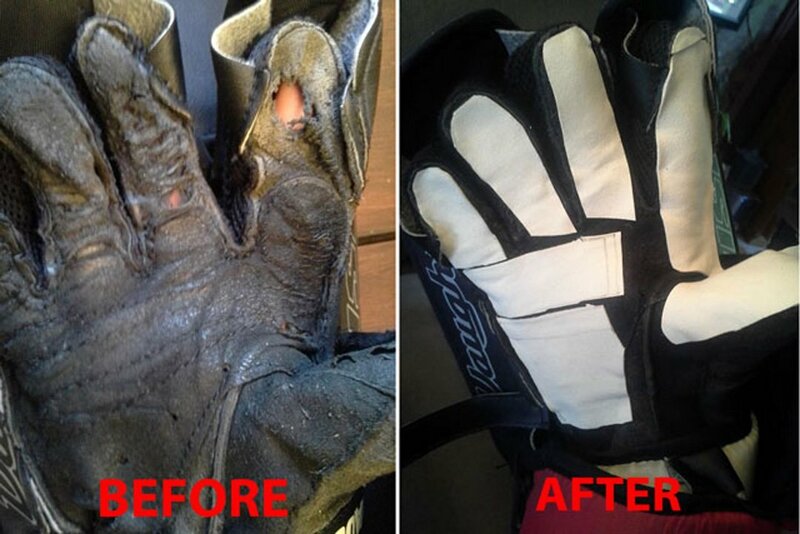 The reality is that the palms on our gloves wear out over time. 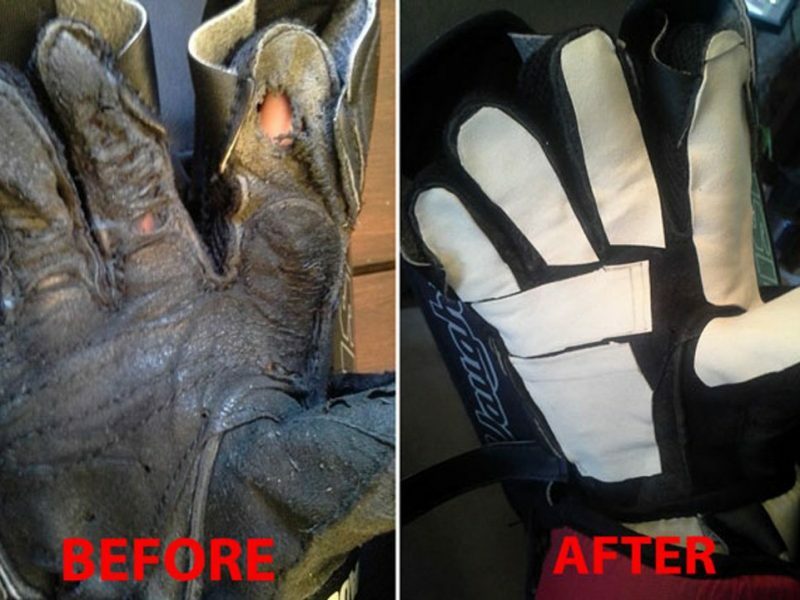 No need to ship your gloves away for repair or buying a new set if you love your current gloves though thanks to PalmSkinz! 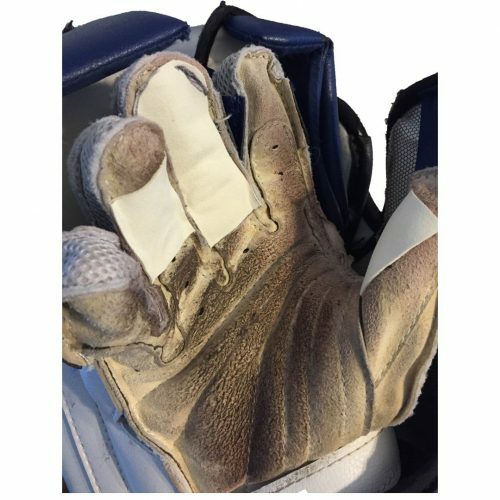 PalmSkinz are sheets of the same Ivory (White), Black or Grey palm material that is used on most player glove and goalie blocker palms but with an adhesive backing. Palm repair is now as easy as cut, peel and stick! PalmSkinz are also not permanent and completely removable! 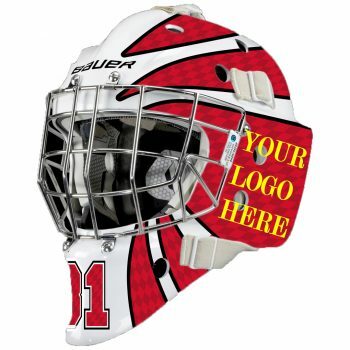 Tested at pro hockey levels for high quality! Mini PalmSkinz will give you enough material to cover 1 entire palm. Small PalmSkinz will give you enough material to cover 3 entire palms. Big PalmSkinz will give you enough material to cover 6 entire palms.